Sandra Jones is a certified Nurse Practitioner. 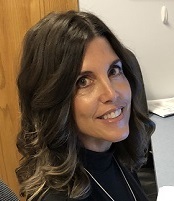 She earned a Bachelor of Arts degree in Business and a Bachelor of Science degree in Nursing from Eastern Michigan University and then earned a Master of Science in Nursing from the University of Michigan. She is nationally certified by the American Academy of Nurse Practitioners. Sandra has over 7 years of combined experience as a Nurse and Nurse Practitioner and brings a significant emergency medicine background to the practice. Sandra is an accomplished and experienced clinician who strives for the best in quality patient care and is a true asset to the team.